Find your comfort and warmth in chilly temps with the SKECHERS Uncompromised boot. 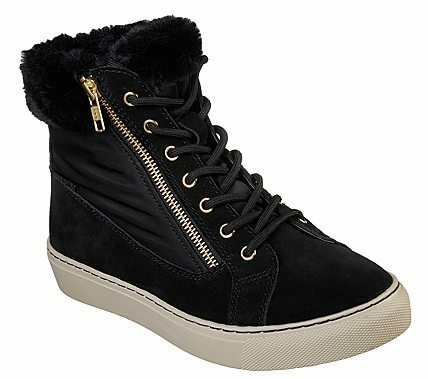 Soft suede and nylon fabric upper in a low mid calf height casual cool weather lace up boot with stitching and overlay accents. Faux fur trim.